Packaged with instructions in reusable mesh dunk bag with cord lock. 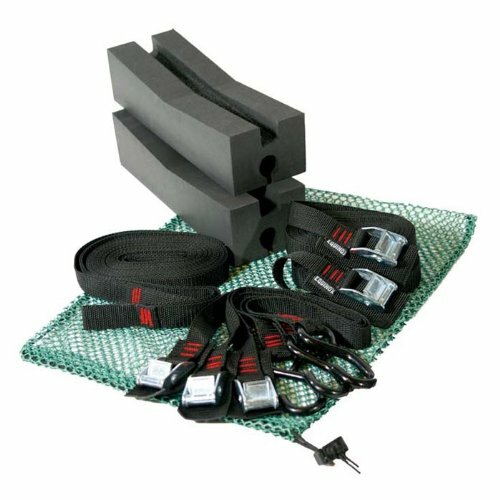 Includes 2- Kayak foam blocks, 3-20" straps with cambuckle and S-hook, 3-9' straps with sewn loop, and 2-18' straps with cambuckle. Made in USA. If you have any questions about this product by Equinox, contact us by completing and submitting the form below. If you are looking for a specif part number, please include it with your message.